Jack has represented and/or advised virtually every category of small to mid-size business: manufacturers, distributors, food service, automotive, apparel, medical practices, transportation and service providers. A founding partner of Kaufman, Miller & McAndrew LLP, Jack has more than 45 years of experience providing strategic counseling to business clients. Jack's clients are primarily privately held companies with revenues between $10-100 million. He provides clients with a full range of counseling and negotiating services, including business law, entity formation, contracts, leases, litigation and strategic growth. Jack has served a member of the Business Advisory Committee of the United States House of Representatives. He has also served as president of the San Fernando Criminal Bar Association and on the Executive Committee of the San Fernando Valley Bar Association's Business Law Section. 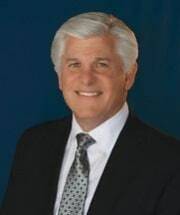 He is also very active in community and philanthropic organizations, and is currently a member of the Board of Directors of Goodwill Industries and member of the Santa Clarita Valley Mayor's Committee for Employment of Individuals with Disabilities.